This Zisha tea mug, made of the authentic Qingshui Ni and matched with delicate bamboo shape, has vivid appearance, which reveals the user’s unique taste. The Zisha tea set has low thermal conductivity and good thermal insulation, which will help us better enjoy the Oolong and Pu-erh tea. 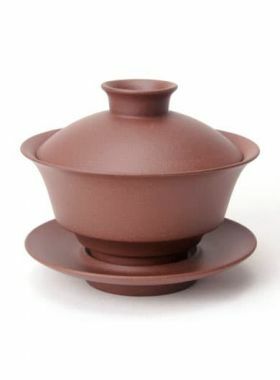 After a long time, the tea set appears the warm color, so usually most senior tea friends will choose Zisha tea pot to brew tea. However, it is not convenient to use Zisha teapot in office. 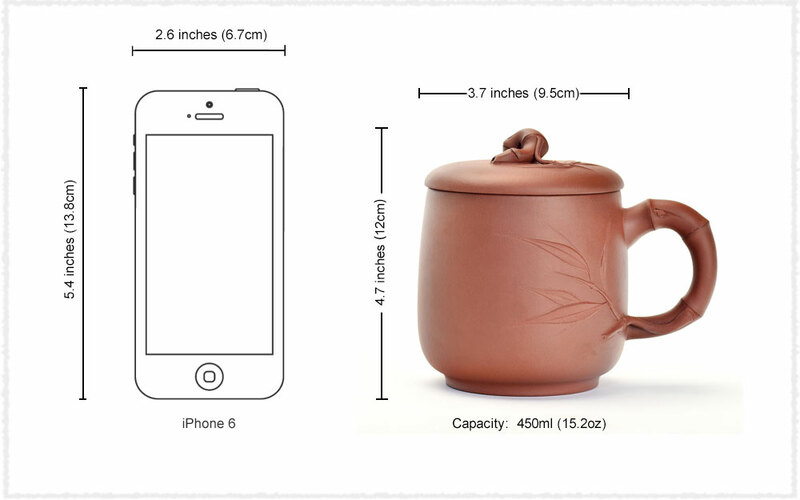 Thus, Teavivre specially selects a beautiful Zisha tea mug to you. The body of this mug is round and full, and the lid is tightly connected with the rim, which guarantees its good air tightness. The handle and the button are used the bamboo joint style and the bamboo pattern also extends to the body and the lid of the mug with bamboo leaves, vivid and natural.